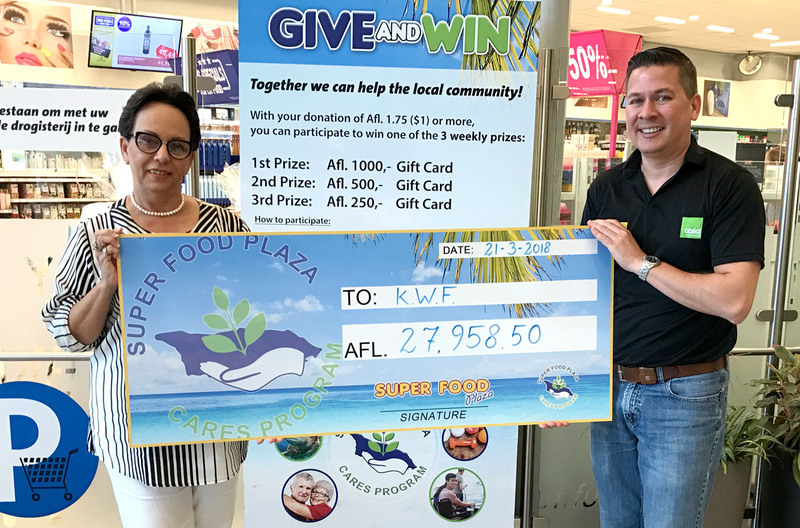 The Super Food Plaza Cares Program recently donated Afl. 27,958.50 to Koningin Wilhelmina Fonds, a foundation that cares for cancer patients and their family. Due to the increasing number of cancer cases on the island, the demand for help from the KWF has also increased. With this donation, we hope to help KWF to continue its excellent work in the Aruban community. Thank you to all who have donated to this cause.